With strong hands and his smooth fluid moves, Jawaan Taylor is reliable when it comes to passing and running techniques. To that end, his height – all of 6 feet and 5 inches – has never been a hindering point in his career but he has shown that he is nimble and light on his feet. As such, with his speed, competitiveness, and balance he is the perfect choice to be drafted in an effort to protect Sam Arnold and we would go on to say, why does Sam Arnold need protection? 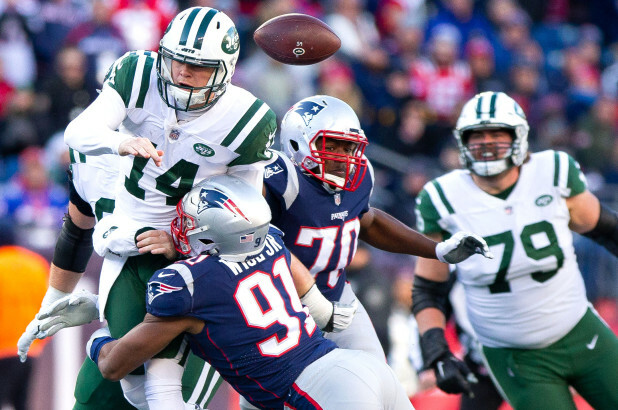 The answer is as simple as it is complicated – the New York Jets have a quarterback and not just any quarterback but a franchise – so they need to go all the way out to make sure that he is protected and covered at all times. An offensive line is an answer, so at this point comes in Taylor. He is not just fast, but he has been improving steadily since his college football days, not just in his skills but physically as well. He has gone from weighing 380 pounds to his present weight – 330 pounds. You can look here to find cheap college football tickets without service fees to ensure that you won’t miss the wonderful moments of future NFL stars. And after Matt Paradis and Mitch Morse signed with other teams, it became of utmost importance to cover Darnold at all times. Well, Brandon Shell is still there, but it is a bit uncertain what lies in wait at the offensive line. And that is where Jawaan Taylor fits perfectly; fluid changing directions, strength, the ability to struggle with an off-the-edge speed that makes even the most flexible rushers bend beneath his assault. His competitiveness knows no bounds, and he also has a persistent attitude that is key to striving in such an atmosphere. He has handled being a right tackle as well as a left tackle – both with equal prowess even if he is basically on the right side. All in all, Taylor seems to be a good choice as a draft in an effort to protect Sam Arnold – Taylor is a rookie that could be moved to the left side any time if the need arises. Well on the way in his professional career, he has a lot going for him even if he still needs some improvements in the technical side, and he is always on the improvement scale as we have seen him do in the season 2017 – 2018, he has upgraded his pass-blocking and his run-blocking. Not just his weight is taken into consideration, hands length – 10 inches, arm’s length 35.125 inches, bench press – 24 reps; are also the factors to be reckoned. From all aspects, it is a win-win deal for the New York Jets since they would be solidifying their tackle position, have a great rusher on their hands; Jawaan Taylor is by far the best choice they could make for their franchise quarterback at the moment, and Taylor has a lot of potential in the field, out of the field and even when his own personal improvements are analyzed.